While its pricing as compared to the almost identical Nissan Evalia are yet to be officially announced, the Stile, one must admit is an indication of Ashok Leyland trying to step out of its more conventional CV expertise and offer its customers something that has wider appeal across the industry. 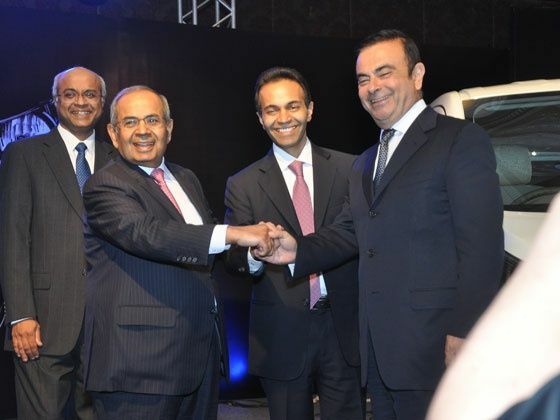 Dr. V Sumantran, Vice Chairman, Ashok Leyland and Chairman, Nissan Ashok Leyland Powertrain Ltd’s comment “Our brand-new vehicle reflects our continued focus on offering Japanese Technology and Quality at Indian Cost,” in that respect quite aptly describes what this vehicle really stands for. A product of the Ashok Leyland- Nissan Motor Company Joint Venture, the Stile is a multi-purpose vehicle based on a contemporary award-winning platform, and is the second product offering from Ashok Leyland after the DOST. Taking full advantage of the Evalia’s monocoque body construction, advanced Common Rail diesel engine, the Stile has been further tuned for low NVH (Noise, Vibration, Harshness) and should offer great efficiency like its Japanese counterpart. The interiors as expected are very spacious and offer good ergonomics. The low floor feature makes for easy entry and exit, while sliding doors on both sides allow for easy access in tight parking spaces. Taking all this into consideration, and the fact that this would priced lower than the Nissan model, the Stile would be ideal for various applications like seating 7-8 people, use in both urban and rural areas, be used as hotel shuttles, taxis, ambulances, panel vans, courier services, inter-city and intra-city travel and so on. Set to hit the roads before the festival season, the Ashok Leyland Stile will roll out from Nissan’s manufacturing plant at Oragadam, near Chennai. It will be available in both Diesel and CNG versions, with a wide choice of seating options of 2 and 3 rows.